Is It ALS? Learn the Symptoms to Watch for from Hired Hands Homecare. Is It ALS? Learn the Symptoms and Stages to Watch for from Hired Hands Homecare. Being given a diagnosis of ALS (also known as Lou Gehrig’s disease) can bring up a lot of questions and concerns, for both the individual diagnosed and his/her family members. 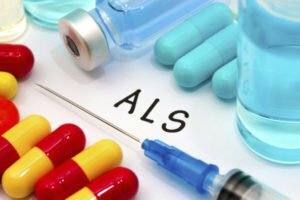 What causes ALS? What are the symptoms of ALS now, and how will they be changed in the years to come? Where can I go to find needed support? More than 30,000 Americans are currently diagnosed with ALS , and nearly 5,600 new patients are diagnosed with the disease each year. And even though the actual cause is not clear, some scientific studies point to confusing risk factors, such as a doubled risk of ALS in veterans who served during the Gulf War. Though each individual can be affected by ALS in different ways from others, the advancement of the disease does seem to follow certain phases. Learning about these stages can help those with ALS and those who care for them implement the most appropriate plan of care. Obtaining care from a professional in-home caregiver, such as Hired Hands Homecare, can enhance quality of life for people during any stage of ALS. Our skilled caregivers work with families to develop an individualized plan of care, allowing those experiencing symptoms of ALS to maintain dignity and the highest possible level of independence at all times. Providing the caregivers North Bay families need, we’re here for you any time. Contact us at (866) 940-4343 to learn more.